I recently picked up a wolverine figure. It looks just like the ML 3 variant without the mask. The difference is he's black and red instead of his usual colours. I've looked everwhere to find it and I'm fed up of trying. So my question is is he just another variant from series 3 or another series entirely? I'm sure this is a pretty easy question but as you may know I'm mr. noknowledgeofmarvelwhatsoever. 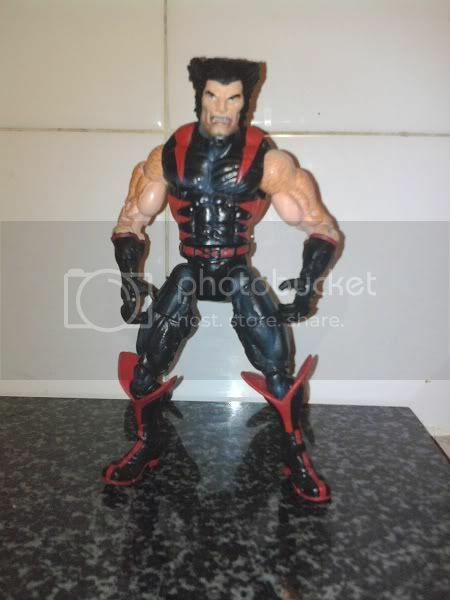 Its from the X-Men Classics Mutant Racer car. Just Toy-Biz getting rid of over made figures. He's not from wave 3. As always pics would help.